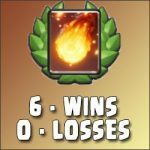 Knight Challenge the best deck | Clash Royale fan-site! 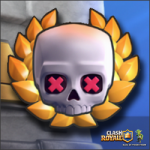 Today the next thematic challenge has started in Clash Royale! This time the challenge is dedicated to the Knight (Knight Challenge). To win the challenge player needs to get 6 victories with no more than 2 defeats. 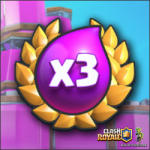 In this post, I’ll describe how to successfully pass through the challenge and get the main reward, which consist of chest with 23 cards plus 300 Knight cards. As for me, I’ve managed to get 6 victories with only 1 loss that was due to loss of connection (untill that moment, I was ahead 1-0). 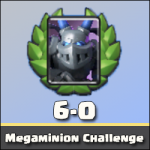 Moreover, all six victories I’ve got by destroying all the opponent’s towers! Note: short video with best attacks and the reward chest opening is at the end of this post. For myself I discovered a long ago that combination of “Golem and Graveyard” is a very powerful! Moreover, if to add an appropriate support for these two cards – the result is simply exceeds all expectations! As a support for Golem, I chose Witch and Night Witch. These two cards are the best choice for this! Golem and Graveyard. This is the main attacking combination! While all enemy troops are distracted by the golem – skeletons quickly destroy the tower. Witch and Night Witch. The characters, which are able to deploy other type of troops onto arena (skeletons and bats). Due to this ability, these two cards are the best choice for Golem and Graveyard supporting. 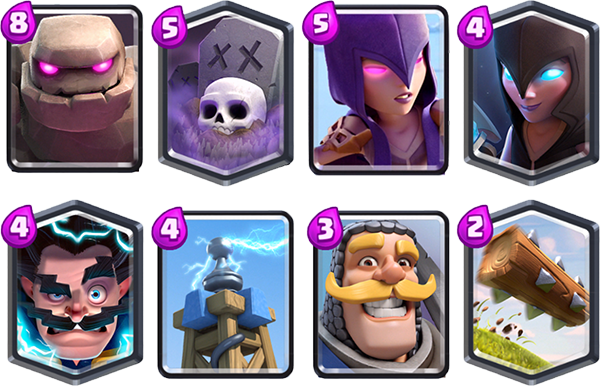 The combination of “Golem, Graveyard, Witch and Night Witch” is unbeatable! Log.Cheap and effective spell card in Clash Royale. The main task in the deck is to destroy the mass of enemy troops with low hitpoints. Sometimes with the help of Log, we can finish a Tower with low remaining of hitpoints. Always try to start your attack with Golem. I recommend to deploy it on the lowest part of your side of arena (near the King’s Tower). Golem has low speed of movement that allows to gather enough of elixir to deploy at least one more card near the bridge for his support. Don’t deploy Graveyard until the enemy troops start to attack Golem. It’s very important! As you can see from the video all six victories, I got by destroying all the enemy’s towers! Hope my deck and tactic tips allow you to win the Knight Challenge and get the main reward!